I officially have no time for more knitting projects. The good news: My wedding shawl is going much better now. It is officially out of timeout and I’m making lots of progress. I’ll fill you in on what exactly my problems were and how I fixed them when I do my “big reveal” post. Until then, I feel a little bit superstitious about writing too much on the subject…as if I might jinx myself by writing something that sounds over-confident. The bad news: I’m NOT ALLOWED to start ANY new projects. I don’t need temptation to procrastinate on any of my three priorities. Why, oh why are there so many gorgeous projects I’d love to be casting on? I may be committed to my three priority projects, but my wandering eyes can’t stop looking. I’ve decided that the best treatment for my suffering is to make sure you all suffer with me. 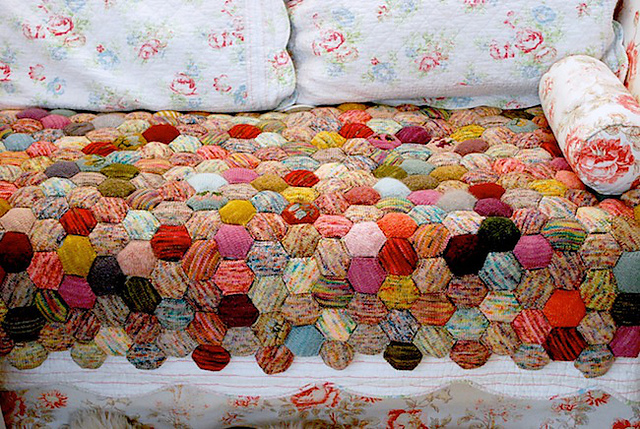 Here are some of the projects I wish were on my needles. Today was our first truly springy day in Minnesota, with temperatures near 60 degrees F. Suddenly all I want to do is throw off the depressing shrouds of wool and caper through the park, bare arms flung wide for maximum Vitamin D exposure. I’ll be arrested if I’m not wearing something. I’d prefer to be wearing something like this: a gorgeous little tank in light-weight cotton, linen, or silk. ZigZag Tank by Susan Mills, as seen in knit.wear spring 2013 and on Ravelry. Malabrigo Linen Stitch Scarf by Scott Rohr/rohrknits as seen on Ravelry. Yeah, that’s not pre-wedding nerves talking at all, is it? Nah, I’m not a bridezilla. At least I hope not. I agree with the above! 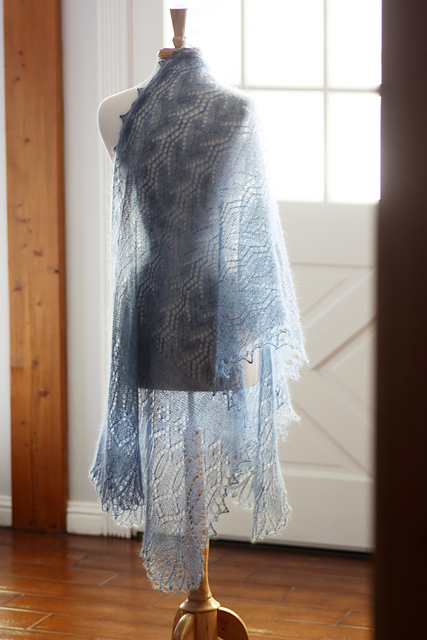 My wedding shawl made me CRAZY (I was still weaving in ends the morning of the wedding…whoops…) but it was worth it! Ignore the temptation! Your wedding shawl is going to be lovely. But it needs to be finished first. This was the post I was expecting a couple of weeks ago when I wanted to cast on all the things. Congrats to you for your self-control (so far). Stick with it! I can’t wait to see the wedding shawl. I am obsessed with shawls these days! Those are some GORGEOUS patterns, I can see why you’re tempted! But I personally can’t wait to see your finished wedding shawl. I think whenever I am super busy I start fantasizing about the things I would do if I was not so busy. All the things I would knit. Human nature, I think. Life has a nasty habit of sending everything at you all at once doesn’t it. I’m a big fan of lists to help me find a way through the ever increasing forest of distractions. As you have in the post list, anything that has a dead line on it, and its date. If your schedule allows get up an hour earlier or stay up an hour later, now you bought yourself an hour choose carefully how you spend it. The rest can take a number. When you want to do your special projects, turn off the tv, phone, computer its your relax time. Without the other distractions you can relax and concentrate at the task at hand. Take the hour you just gave yourself and make it your time. I’ve found using a kitchen timer with the computer really helps. How often do you say ‘I’ll just get my email…’ then you lost a big chunk of time. Put a time limit on how much time you can afford to spend on the computer and then you won’t be so tempted to follow every link you see. Same with blogs n forums. Definitely use wish lists for projects you see you like, then when you want to knit a ‘?’ you already have a list of inspiration waiting for you. Your tips make a lot of sense. I’m usually pretty good at time management, but at times like this I need apply a little more rigor to the process. I may try the timer trick. Q – LOL! I remember the agony of finishing my Master’s – hang in you’re almost there. I suspect the weather we had this week — snow! freezing rain! more snow! — has helped you resist the tanks. No kidding. My interest is temporarily chilled. Weddings are so stressful, especially if you’re the bride AND you’re making you’re wedding shawl. Of course you’re equilibrium is a bit disturbed. I knew from about age 3 what my wedding dress would look like. When the time came I spent ages looking for the right type of designer to make it for me the way I wanted it. And then I kept on looking at wedding dresses and wondering whether I should change my mind! Hope your shawl flies off your needles. I’m sure it will be stunning. Can’t wait to see it! Glad I have permission to be a little crazy right now. I think I need it. It’s a idea to get done a week (or two) before the wedding. I made my dress, the bridesmaid and flower girl dress too. Colin was firm that I have everything done at least 1 week before. Good thing too. The week before our wedding was that huge blackout that blacked out half of Canada and the States (2003). I only had a bit of hand sewing to do. I would have panicked if I still had machine work. Not to rub it in but I have to find a couple new project because we’re heading to Scarborough for a long weekend.